IIB Insurance » News » Company News » CANCELLED FLIGHTS & AIRLINE COLLAPSES: DOES YOUR TRAVEL INSURANCE COVER AIRPORT DRAMAS? Who covers the costs of an airline collapse? The cost of bringing stranded Brits home was met by the government, at no extra cost to passengers. The government hopes to recoup funds from the Atol (Air Travel Organiser’s Licence) protection scheme and credit card payment companies. 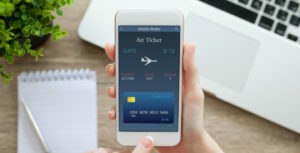 But the financial impact on holidaymakers who had not yet flown ranged from missed connections and non-refundable accommodation to rebooked flights on other airlines. In that scenario, does your travel insurance kick in? A surprisingly high number of policies will not pay out if the airline you are due to fly with collapses. In fact, Guardian Money suggests only half of UK travel policies offer this protection. When checking your policy documents, look out for “scheduled airline failure” cover. There are other ways to recoup your costs, but they may not be that easy. The Atol scheme protects package holiday bookings, but today’s consumers are likely to have put together their own holiday arrangements. If flights have been booked on credit cards, you will also have purchase protection through your bank – but tickets purchased on debit cards are not protected. If either of these sources decline to pay out, your travel insurance should be your first port of call, so it’s vital to check you have cover for this scenario. What if my airline is still operating but cancels my flight for another reason? Flight cancellations in simpler situations, such as Ryanair’s recent spate of cuts, should be covered by your insurance – but only if you are insured at the time of the cancellation. Many people make the mistake of purchasing travel cover right before their holiday, but since your flight could be cancelled any time after booking, you will need cancellation protection from the get-go. You should also read your policy wording carefully, as they may only cover you if your flight was cancelled for certain reasons, and other related costs may not be included. Policy wording can be ambiguous, but using an insurance broker such as Independent Insurance Bureau Ltd can give you the peace of mind that your T&Cs have been fully checked by knowledgeable professionals, and your policy selected to include the benefits that matter to you.